Italy Expat FAQ: Why Do You Stay in Italy? As we were redesigning the blog and updating everything for the digital relocation I naturally ended up reading a lot of our old posts. This happens usually happens by accident every 8-9 months or so and it's a total trip to read some of the really old posts, especially the very first one. Pretty early on I wrote a post called Why Are You Moving to Italy? In it, I attempted (very briefly) to answer the question. At the time, it was a question that were heard every day, numerous times per day. For this week's Italy Expat FAQ post, I'd love to address a new question we hear a lot: Why do you stay in Italy? 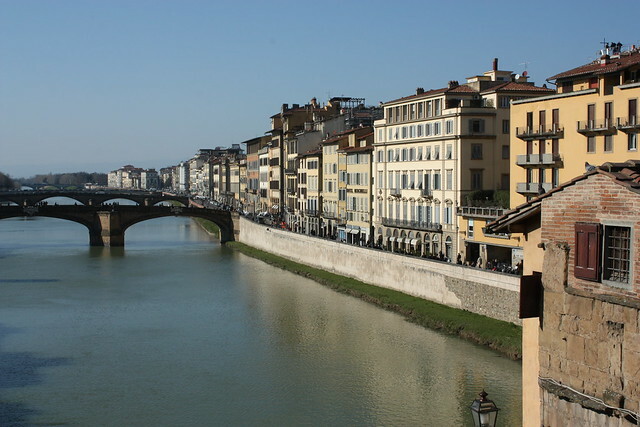 When we first moved to Florence we had no idea how long we would be here for. We mentally prepared ourselves for anything as short as 6 months or as long as forever. We never pressured ourselves one way or another. We had numerous talks before the move about how it would be ok if we didn't like living here. All to often I think people are afraid to admit that they've made a bad decision and stick with something for way to long. We didn't/don't want to be like that. If we didn't like it here, so what? On to the next thing. As such, we have a "do we stay or do we go" conversation every couple months. So far the decision has, obviously, been to stay! So, why do we stay? Italy just fits. For us. Right now. That's the long and short of it folks. The lifestyle we have here in Florece just works for us at the moment. We knew there was a big chance when Livia came along that we might need a change, but it hasn't happened (yet). We are floating along quite nicely over here. I'd be interested to hear from some of our expat friends that read this blog. Why do you stay (in Italy, or wherever you may be that's not "home")?